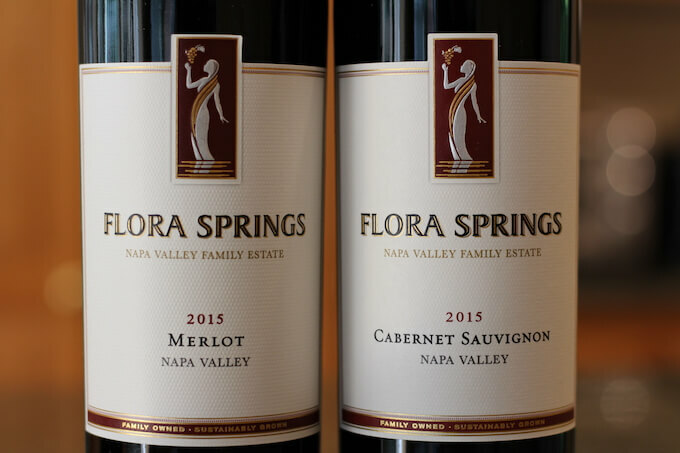 Flora Springs Merlot and Cabernet Sauvignon are part of the Family Estate series of wines from the Flora Springs Winery in Napa Valley, California, USA. 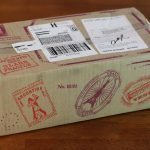 In this two for one review, we’ll start with the Flora Springs Merlot and then give the Flora Springs Cabernet Sauvignon a try. For more about these two wines, check out the Flora Springs website. Inspired by the life-giving natural springs that nourish our vineyards, our wines embody the joyous spirit of Flora, our founder and matriarch. Flora’s favorite: Napa Valley Merlot. 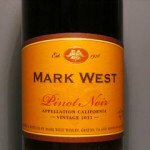 This wine is 100% Merlot and was aged for 19 months in a combination of seasoned and new oak barrels. 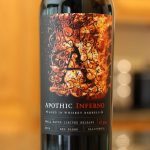 The fruit for this wine was harvested in mid-August of 2015, with the harvest said to be one of the earliest on record. In the glass, Flora Springs Merlot poured cherry in color. It wasn’t overly opaque and the wine allowed a bit of light to shine through. I found the wine to be thick in appearance. It was leggy with the drips falling faster than anticipated, given the thick look of the wine in the glass. I found this wine to be very aromatic, especially when first poured. It exhibited a spicy aroma, with hints of nutmeg and fresh picked herbs. There was also a faint underlying hint of sweet and savory cocoa, giving this wine a rich and complex aroma overall. I did notice a definite bite of alcohol in there as well. Flora Springs Merlot alcohol content 14.2% by volume, per the bottle. Overall, an enjoyable and multi-layered aroma. On the palate, I noted tight and enjoyable flavors of blackberry and plum. Taking a cue from the aroma, there was also a bit of spice thrown in there for good measure. The wine’s mouthfeel was luscious. Tannins were very supple and took a while to develop. I found they made their way to the nooks and crannies of my mouth and gums and left little to no bitterness. Flora Springs Merlot was long finishing. I discovered a nice balance between the flavors and the tannins, with the tannins winning out at the end of the finish’s trajectory. Overall, I found this Merlot to be very good. A lovely, lightly dry red with plenty of good surprises to keep you wanting more. Flora Springs Merlot price $30.00 SRP with just 4,500 cases produced. My pairing suggestion for this wine is to pair it with a grilled steak topped with butter sautéed mushrooms. A luscious dinner to go along with a luscious wine! After tasting the Merlot, I rinsed and dried my Merlot/Cabernet wine glass, cleansed my palate with water and moved on the 2015 Cabernet Sauvignon. 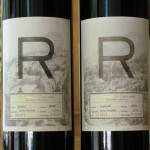 Internationally-renowned Napa Valley Cabernet Sauvignon sourced from Oakville and Rutherford. Flora Springs Cabernet Sauvignon is 100% Cabernet Sauvignon. They also noted that many of the lots went through extended maceration to soften up the tannins. The wine was then aged for 18 months in 75% French oak and 25% American oak and then blended. 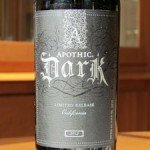 More opaque than the Merlot, the Cabernet was dark plum in color with much less light able to shine through. It was also even more leggy with much slower falling drips. A good sniff revealed soft aromas of plum and blackberry with a hint of spice as well. I didn’t notice nearly the bite from the alcohol with the Cabernet vs. the Merlot, even though the alcohol content was the same in both wines. Flora Springs Cabernet Sauvignon alcohol content 14.2% by volume, per the bottle. Once again, a complex and enjoyable aroma, with the Cabernet winning out. I was a little surprised (but not in a bad way) that the Cabernet was a tad bit sweeter than the Merlot in flavor. Noted were buttery flavors of blackberry and plum, similar to the aroma. What really caught my attention was a secondary flavor of anise that took a few seconds to develop. Once I realized what it was, I kept noticing it over and over as I sipped. I can’t recall noticing that flavor in a Cabernet Sauvignon in the past. 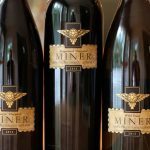 Since I love new and good surprises when it comes to wine, I give this wine’s flavor high marks for complexity and uniqueness! I called the wine’s mouthfeel “almost juicy” and found the well-behaved tannins to balance nicely with the flavors. Flora Springs Cabernet’s finish was long-lasting and enjoyable. 70% of the finish was dominated by the wine’s flavors and 30% by the wine’s tannins. Overall, I found this wine to be complex in aroma and exceptional in flavor, with the secondary anise taking the prize! Also very notable was that all this came from a single varietal wine. Though the fruit source was blended, keep in mind it’s all 100% Cabernet Sauvignon. 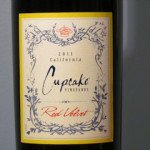 So, some serious crafting must have gone into this wine. Flora Springs Cabernet Sauvignon price $50.00 SRP with just 3,135 cases produced. White drinking this wine I thought of a venison meatloaf dish I’ve had at a great restaurant in Vermont called The Bobcat. It would be a perfect accompaniment to this wine!